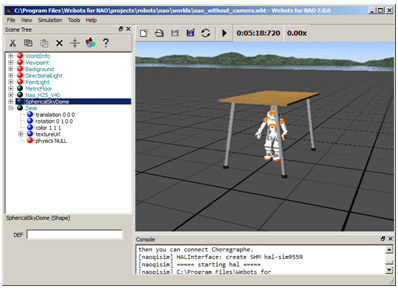 Webots for NAO allows you to launch a simulated NAO moving in a virtual world. 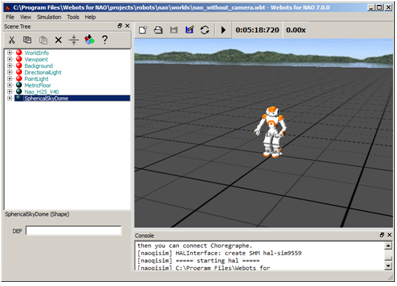 Webots for NAO is a specific release of Webots 7, exclusively dedicated to the use of a simulated NAO. 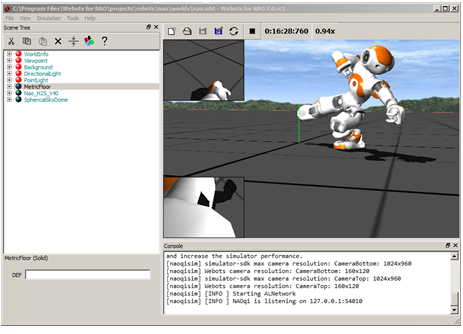 It offers predefined NAO simulations with their ready-to-use controllers. 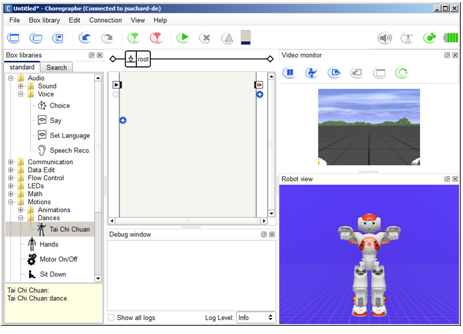 Webots for NAO is a lite version of Webots, it is not designed to let you use other robots nor create new robot controllers. 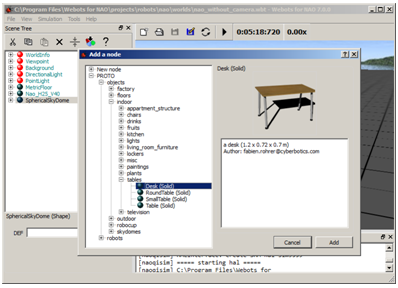 and select the file nao.wbt located in [Webots directory]\projects\robots\nao\worlds. Make sure the Stiffness is on: should be red . 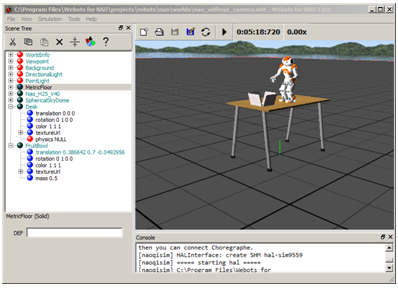 Click the Play button and follow the behavior both in Choregraphe and in Webots for NAO. 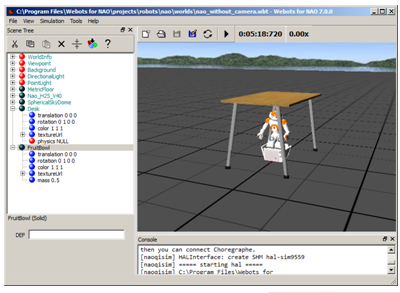 In Webots for NAO, double-click the robot. 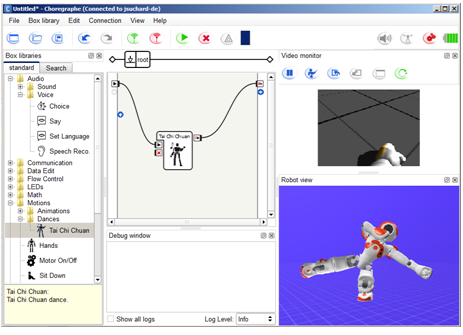 Read the Section 8.2 Using the NAO robot of the Webots user guide to learn more about managing one or several NAOs using Webots for NAO. 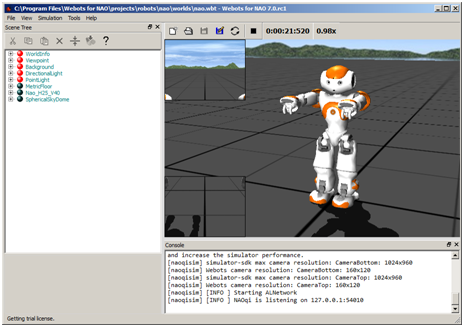 Make sure the simulation is not stopped in Webots for NAO.